JH LID & STRAW NO TIP 12 oz. JH LID & STRAW W / TIP 16 oz. JH LID & STRAW W / TIP 22 oz. JH LID & STRAW W / TIP 32 oz. 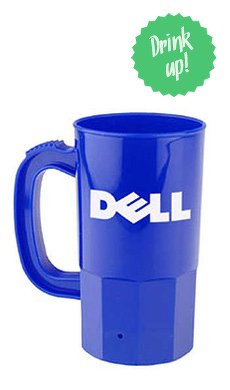 These lids and straws are a great complement to top your company's promotional cups. These lids are great for taking your drink on the go and helping you display your cup wit the straw perfect so you never get dehydrated. The snap on and off design is great for taking the plastic lid on and off without the hassle. Coming in many different colors you can match, complement, and make your logo display even greater on your cup. Great for trying to create kiddie cups, the straw and lid are spill free design to make sure you do not lose your drink or money. Lids 16 ounces and higher come with a straw with a tip to cover the straw to create in even better spill free experience. Great for keeping bugs and unwanted items out and your drink in. I ordered these lids and straws to use with the 32oz plastic cups I get at the gas station and convenience stores. I use these cups for water, sodas, ice tea, etc. These lids fit the 32oz cups perfectly and allows us to use the cups over and over again, which helps the environment. The lids are a very good quality and stay securely on the cup. Tab makes it is to remove for refills. Sturdy straw.